Registration is now open for the GFOAz May Training! The May Training will be held on Thursday, May 17 from 8 a.m. – 3 p.m. at the Mesa Public Safety Training Facility, 3260 N. 40th Street, Mesa. The training is $30 for members, $45 for non-members and includes 5 CPEs. The theme for this year’s May Training is fraud and internal controls. For more information and to register, please click here: http://www.gfoaz.org/e/18may_trg/. Welcome the 2018 GFOAz Board of Directors! Re-elected to serve two-year terms as members at-large were Christy Eusebio, Assistant Finance Director of El Mirage and Ben Ronquillo, Finance Director of Litchfield Park. They join fellow board members-at large Mindy Russell, Budget and Management Assistant for the City of Peoria and Donna Meinerts, Finance Director of Apache Junction. The GFOAz Education Committee Chair is Kirsten Lennon, Accounting and Budget Manager for the City of Cottonwood and the GFOAz Membership Committee Chair is Jerry Hart, Deputy Director of Finance and Internal Services for the City of Tempe. The 2018 President is Bonny Lynn, CFO and finance director for Coconino County. She has served on the GFOAZ Board since February 2016 and also serves on the GFOAz Education Committee. The GFOAz Board also recognizes Sean Kindell as the President-Elect. Sean is the deputy finance director for the City of Phoenix. Sean has served on the GFOAz Board of Directors since February 2016 and also serves on the GFOAz Membership Committee. The GFOA Annual Conference will be held May 6 – 9, 2018 in St. Louis! The GFOA Conference is a great opportunity to meet with other public finance professionals, share ideas, learn about new programs and technologies, and take away new skills to bring back to your community. For more information and to register, please visit the conference webpage. GFOAz is once again hosting a reception at the GFOAz Annual Conference! GFOA also offers scholarships to first-time attendees! 50 scholarships are offered per state and there are still scholarships available for Arizona. If you have not attended in the past and are interested in going this year, please visit the scholarship page. Please help GFOAz continue to provide quality trainings and services for our membership! The GFOAz Board has developed a short survey to inquire from membership their opinions on current offerings and feedback for improvement. If you have not already done so, please take a few moments to provide your feedback by clicking here. Thank you to our GFOAZ Sponsors! Thank you to our GFOAz Sponsors for their continued support of our organization, trainings and conferences! We appreciated having so many attend at the Annual Winter Conference and are looking forward to networking with them at the Summer Conference in Tucson. 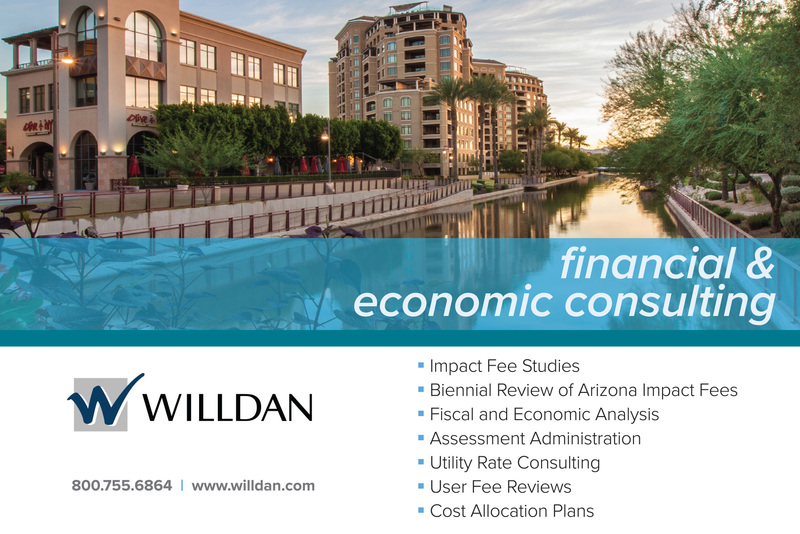 GFOAz Sponsors help GFOAz provide high-quality, affordable training events and conferences to government finance professionals throughout Arizona. Their support also enables GFOAz to maintain a strong professional network and share information and knowledge quickly and effectively. 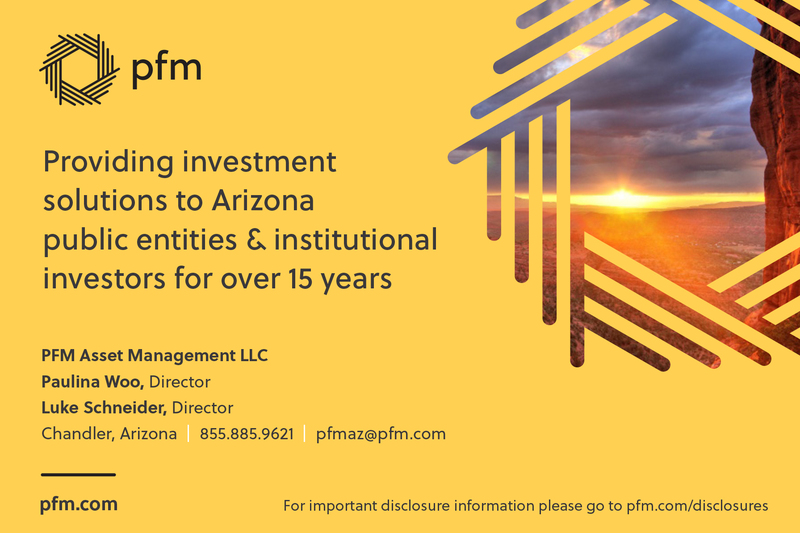 Click here to see a list of GFOAz Corporate Partners. Congratulations to ASU School of Public Affairs! In the world of academic administration, we have our own version of “March Madness”: the US News and World Reports rankings. I am pleased to announce that the School of Public Affairs at ASU has risen from #13 in the U.S. to #9 in the U.S., tied with Princeton, NYU, Minnesota, and Texas-Austin. View the results here. The fact that we are tied with Princeton and NYU and ahead of Duke, Columbia, and the University of Chicago, all “elite” private universities that charge more than double our tuition, signifies the exceptional value you are deriving from our programs. Our performance is also outstanding in the specialized rankings. We were ranked in the top 10 in the U.S. in eight specializations: #2 in the U.S. in Local Government Management, #3 in Homeland/National Security and Emergency Management, #4 in IT Management, #5 in Urban Policy, #7 in Public Management and Leadership, #8 in Environmental Policy, #9 in Nonprofit Management, and #10 in Public Finance and Budget Programs. Our meteoric rise in the rankings is a reflection of the top quality of our world-class faculty and students. The fact that we are ranked in the top ten in the U.S. in eight specializations demonstrates the breadth of our quality and the vast scope of our intellectual leadership. I want to thank Professor Stuart Bretschneider, Director of our MPA Program, and especially, my predecessors, Dean Jonathan Koppell and Karen Mossberger for their leadership and vision in launching us on this upward trajectory. This is now the fourth time in a row that our school has risen in the rankings. We remain committed to sustaining this upward trajectory and maximizing the return on the ASU degree. You can now connect with GFOA and our members like never before by joining the new GFOA “Members-Only” group on Facebook. This group will allow you to easily interact with members from across the United States and Canada and GFOA staff. All you have to do is click here and log into Facebook to join. GFOA Best Practices identify specific policies and procedures that contribute to improved government management. They aim to promote and facilitate positive change or recognize excellence rather than merely to codify current accepted practice. GFOA has emphasized that these practices be proactive steps that a government should be taking. Best practices are applicable to all governments (both large and small). Best practices are approved by the GFOA executive board and represent the official position of the organization. If you are interested in becoming more involved with the GFOAz Education or Membership Committee, there are plenty of opportunities available. If you are interested in volunteering with the Education Committee to help plan future conferences and trainings, please contact Kirsten Lennon, Chair of the Education Committee at klennon@cottonwoodaz.gov. If you are interested in reaching out to organizations to increase and maintain GFOAz membership, please contact Jerry Hart, Chair of the Membership Committee at jerry_hart@tempe.gov. Stay connected with GFOAz! Follow us on Facebook, Twitter and LinkedIn for all GFOAz updates and join the GFOAz LinkedIn group to share inquiries, post jobs, and network with other GFOAz members. Click here to follow us on Facebook, click here to connect on LinkedIn or follow us on Twitter @GFOArizona! Do you have a recent promotion or transition that you would like to announce? This section of the newsletter recognizes members who have recently been promoted or have recently transitioned. If you would like your name to be featured in this section of the newsletter, please contact Samantha Womer at 602-258-5786 or email swomer@azleague.org.